Exercise is so important for all of us to maintain a healthy lifestyle. For many the best way to do this is to go to a gym. 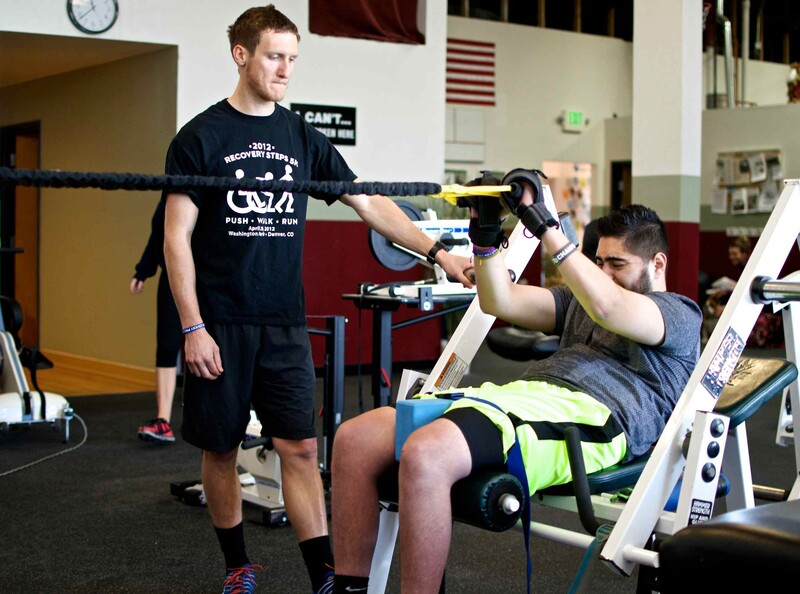 For those building strength after an injury or illness, gym time is essential to aid recovery. 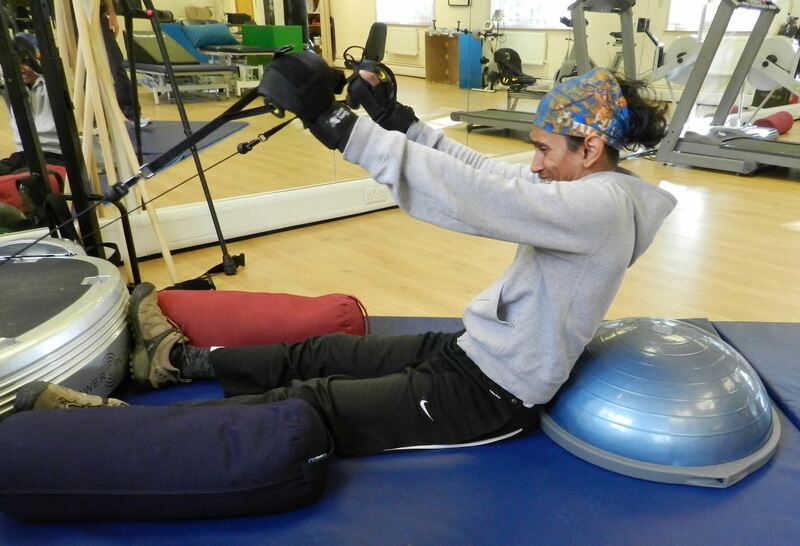 Active Hands can help those who need to rehabilitate after a Stroke, surgery, brain or spinal injury, or can help those with disabilities such as Cerebral Palsy, MS or MD, who are struggling to get a safe grip on equipment. 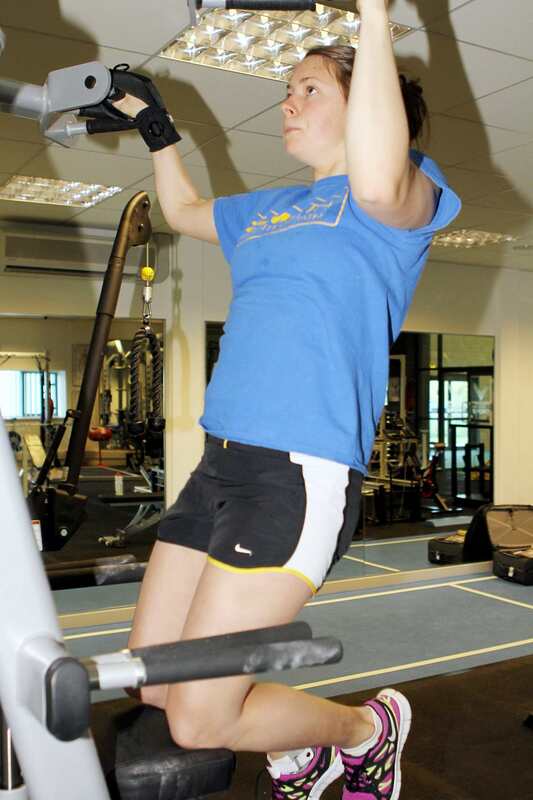 Active Hands manufacture a range of gripping solutions and equipment for use in the gym. 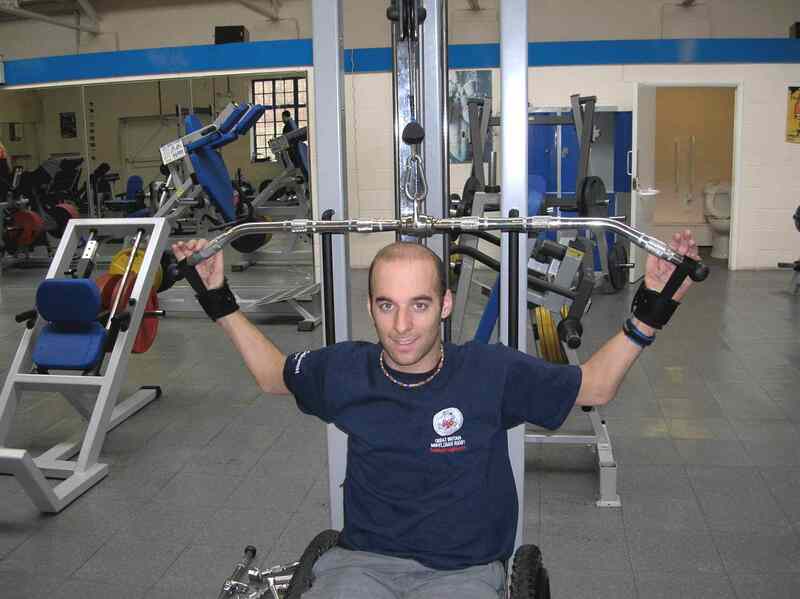 They are suitable for those who are just starting out to those who are training at a Paralympic level. The gripping aids are made to be tough enough to withstand the hardest work out (for more information on uses for Athletes click here). Limb Difference aids can be used for the same activities as the General Purpose aid but are designed with a double strap system, specifically for helping those with fingers or hand parts missing. 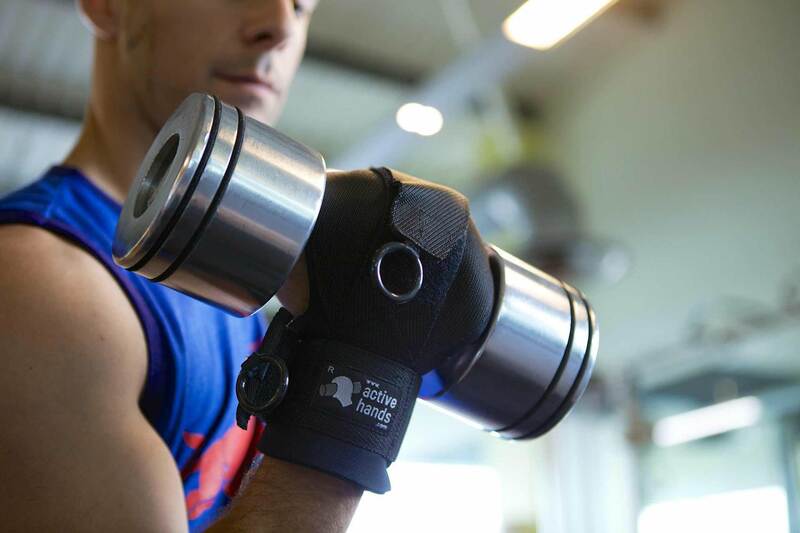 Heavy duty grip wrap gives a layer of added comfort and padding whenever you need it, such as when using free-weights. Thumb Protectors fit around the shaft of a free weight, giving a layer of neoprene padding between your thumb and the end of the weight. 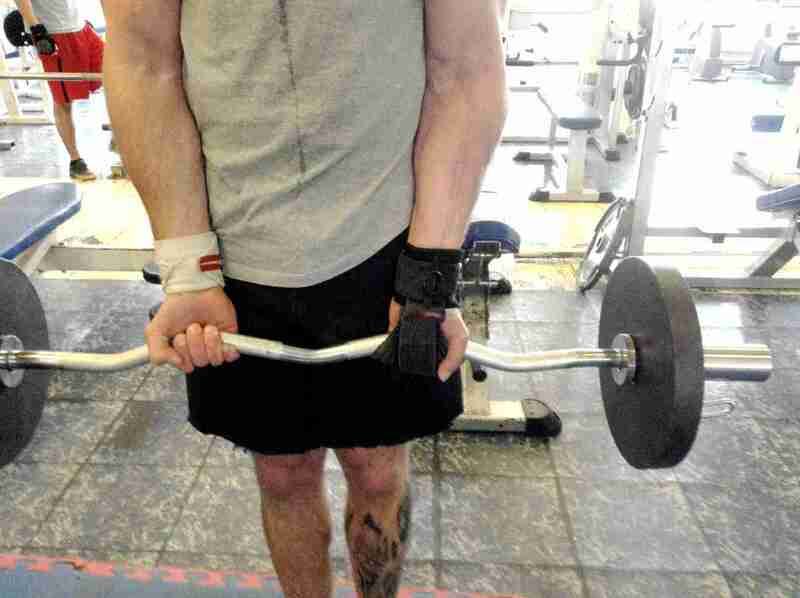 Get a safe, firm grip on free weights. 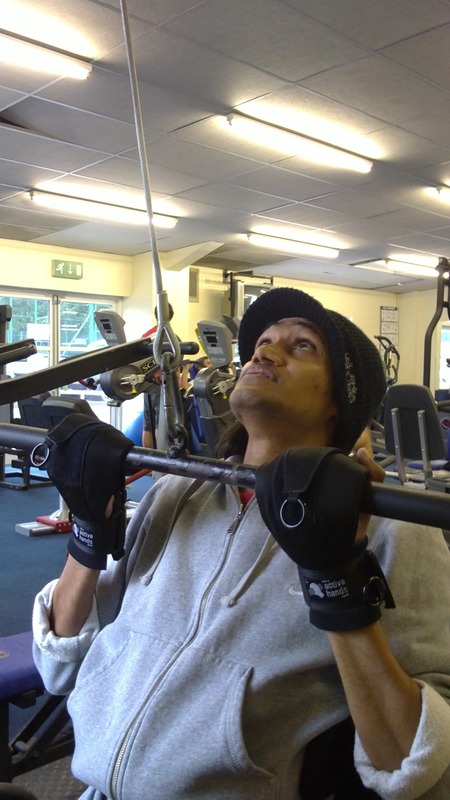 Rob uses D-rings to attach directly to karabiners in the gym. 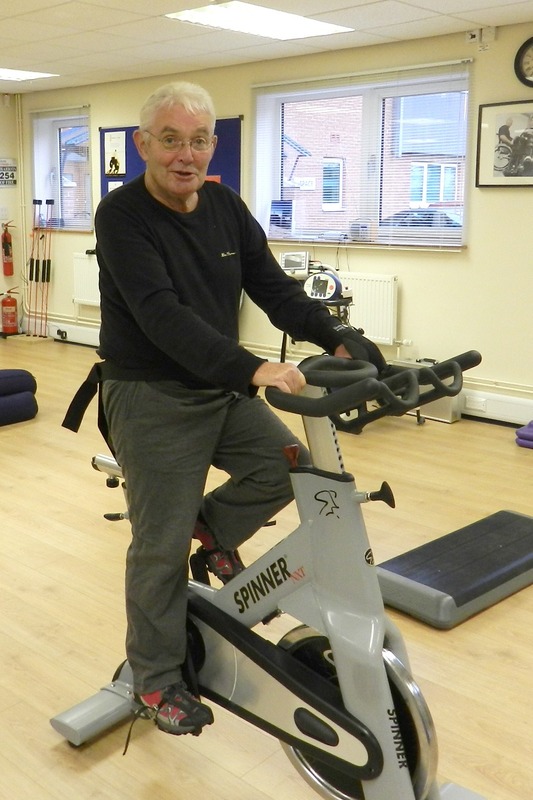 To see how you could use our gripping aids in the gym take a look at this video of Rob demonstrating how he works out in a regular high street gym. 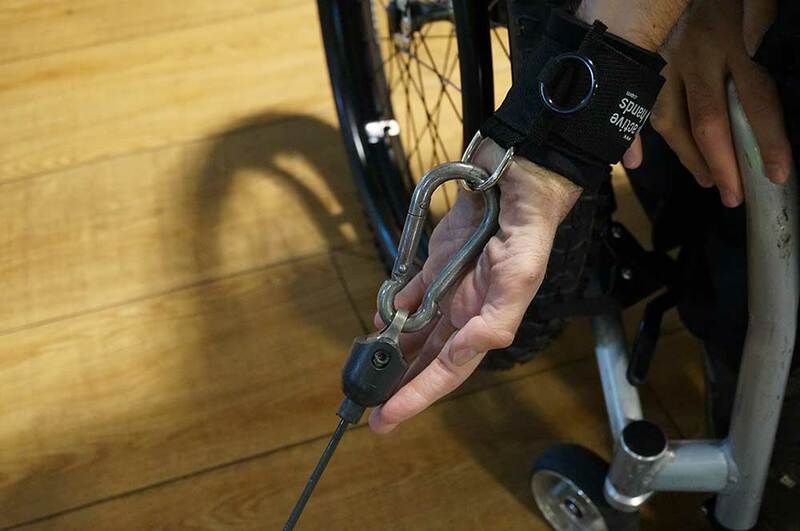 The D-Ring aids can be connected directly to the karabiner on cable and pulley machines. The Looped aid slips easily over the end of bars. 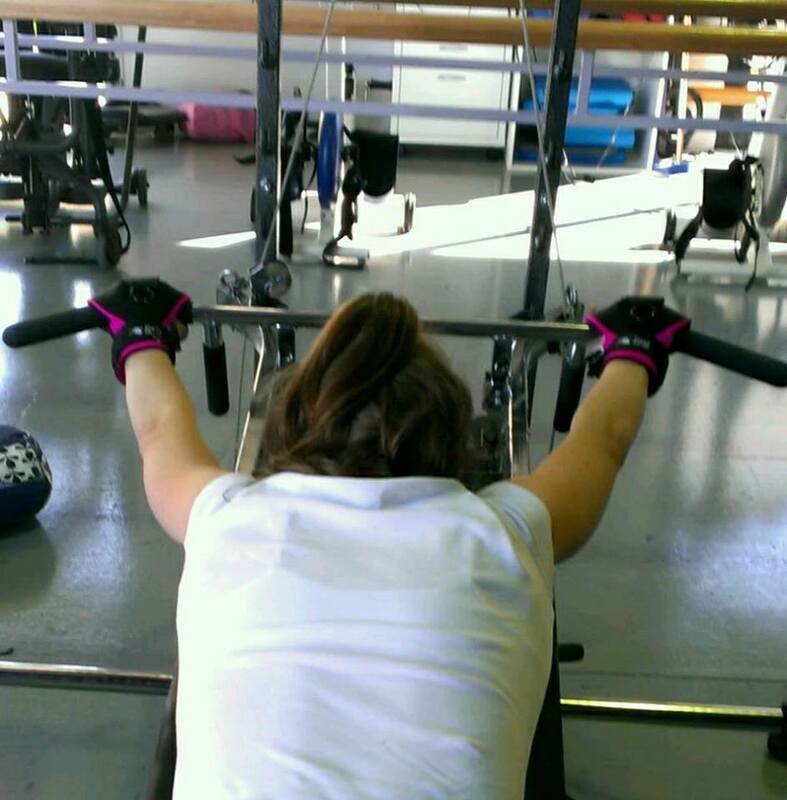 The General Purpose aid has multiple uses in the gym. They are strong enough to be used for chin ups. Sturdy enough to help you lift heavy weights. 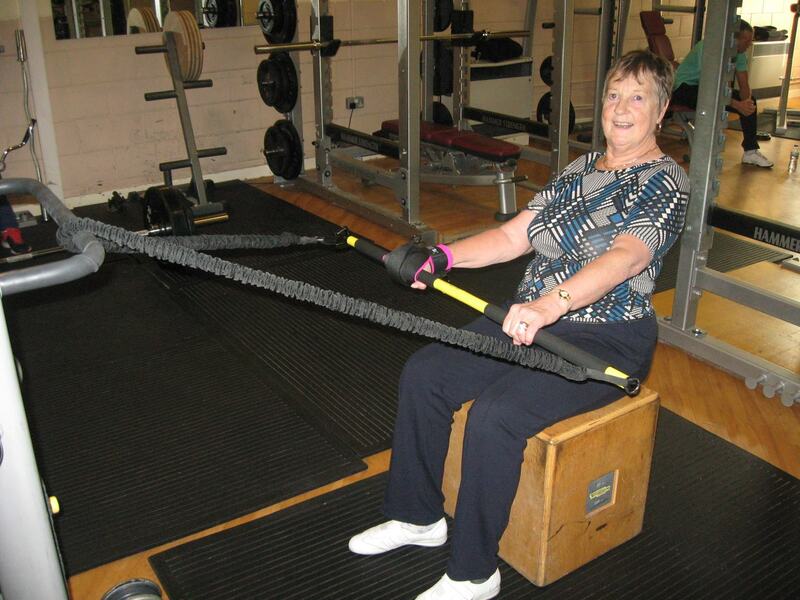 Getting a grip after a Stroke can be difficult - our aids can be used to gain strength. Our gripping aids help you to work hard in the gym. Strong gripping aids for strong clients. Irene packs her gripping aids when she goes on cruises. 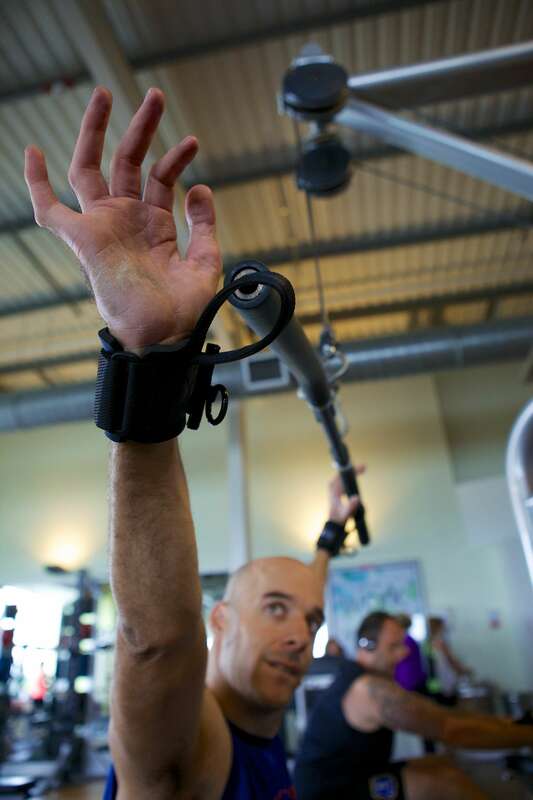 Our NEW Hook aids are ideal for pull-up exercises.